Sunshine, safety, 400 miles of waterfront and scenery are just some of the reasons many people are moving to Cape Coral - and staying there. With the recent growth and so many people traveling to the area, Forbes ranked Cape Coral/Ft Myers as number one for America's fastest growing cities in 2017. According to Forbes, the population grew about 4% in 2016 and predicted it will expand even more in the coming year. Cape Coral is no stranger to the top spot, as they held the Forbes number one spot as the fastest growing city for a few years in the mid 2000's, just before the real estate crash and subsequent Great Recession. City Public Affairs manager Connie Barron said about the Forbes report "We are seeing an increase in the hospitality industry as well as the real estate industry". Tom: what is especially encouraging about the Forbes report this time around is that Cape Coral homes have not had the unsustainable price hikes of 20 - 30% for several straight years, like we had in the mid 2000's. Nor are we seeing the "too easy to get" loans that were prevalent just prior to the crash. I'm very satisfied with a 7 - 12% annual appreciation for our area. We'll report if we see a trend toward unrealistic price jumps, which precedes a real estate market peak, followed by the inevitable downturn. Lee County's Sheriff's Department released its Annual Crime Report for 2016, and overall crime in the county is down 10.06% from 2015. Violent offenses decreased by 3.15%. Year-to-year, Lee County saw the largest crime decrease among residential burglaries. This marks the ninth consecutive year the crime rate has dropped in Lee County, and a 52.3% reduction in crime since Sheriff Scott took office in 2005. Thank you clients for another fabulous month. With 150 experienced agents at RE/MAX Realty Team it is a challenge to achieve Top Producer for a month. Last year you helped us achieve the Top Producer spot three times. Sue and I greatly appreciate your loyalty and trust, and never take it for granted. The President of the Cape Royal HOA and Green Golf Partners (GGP) recently signed a 10 year lease for GGP to operate the 27 hole golf course on the development. GGP was on site March 1st to start their transition plan for operating the golf club. The course will be re-named the Cape Royal Golf Club. It will take months before the course is ready for play, but significant work will take place very soon. We'll keep you posted when we know that the course is officially open again. 99% of pet owners consider their animal part of the family, and 89% said they would not give up their animal because of housing restrictions or limitations.Sue: what is wrong with the other 1%?? 52% completed a home renovation project specifically to accommodate their animal. 23% built a fence around the yard, 12% added a dog door and 10% installed laminate flooring. 83% of animal owners own a dog, which explains the overwhelming popularity of dog-related renovation projects. 43% own a cat. Sue: Many of you may already know how I feel about family pets. In my opinion, a house is not a home without a pet, so these statistics don't surprise me at all. RE/MAX Realty Team has continued their close association with the Coral Oaks Golf Course, and we are able to offer two free rounds of golf to our clients. Additionally, if up to two other players join you they will only be required to pay a $20 cart fee. Contact us to set up your tee time and try to provide 5 days notice during high season. Tom: this is one of the many nice perks I receive as a top producing agent with RE/MAX Realty Team, and I'm happy to share it with our loyal clients. Looking for great taxi service to Fort Myers International Airport (RSW) and other SW Florida airports? We recommend Academy Airport Taxi of Cape Coral. Family owned and operated, Peter Caivano (a client of ours) and his crew of polite, professional drivers offer reliable, high quality airport taxi service at reasonable rates, in clean, no-smoking cars. Based in Cape Coral, Academy Airport Taxi specializes in transportation to and from RSW in Fort Myers and PGD, the Punta Gorda Airport in Charlotte County. 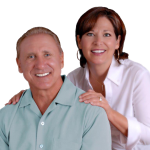 Visit their website http://academytaxillc.com/ or give them a call at (239) 542-8294. Local Home Prices Continue to Rise, Inventory Stable: Cape Coral home prices rose to $283,000 in February compared to $262,000 in February 2016, a 7% increase. Ft Myers home prices jumped substantially, from $271,000 average price in February 2016 to $328,000 this February, a 21% increase. Inventory in Cape Coral remained at six month's supply of homes, a perfect neutral balance. Ft Myers had a 10 month supply of homes, leaning toward a buyer's market. We expect home inventory in all of SWFL will start to decrease as we're now in the midst of our high real estate season. Odds Increase for March Interest Rate Hike: The Chicago FedWatch website, which monitors exchange rate futures trading, increased the odds to 2 to 1 of an interest rate hike at the Federal Reserve's next meeting on March 15th. This is partially based on the central bank's long-term inflation target approaching 2%. Florida Property Taxes Average Compared to Other States: WalletHub's 2017 Property Taxes by State report finds that Florida ranks 27th in the U.S. Florida's average tax rate is 1.06% of property value. Hawaii has the lowest percentage tax rate (0.27%), and New Jersey has the highest percentage tax rate (2.35%). Florida is one of 24 states that doesn't charge a vehicle tax, and one of only 7 states that doesn't charge state income tax. North 2 Underground Utilities Proposal Defeated. A proposal to install underground electric wires vs. standard electric poles was voted on by ballot by property owners in the North 2 area of Cape Coral (north of Pine Island Road). The proposal was defeated by 67% to 33%. The additional cost of $5,000 - $7,000 played a major role in the rejection decision by property owners.